A feature previously reserved for only Facebook elite such as CEO Mark Zuckerberg is now being extended to the rest of us. Facebook’s “unsend message” feature is finally available to everyone—and all it took was publicity around Zuckerberg’s mostly-secret retractions of some of his own messages. 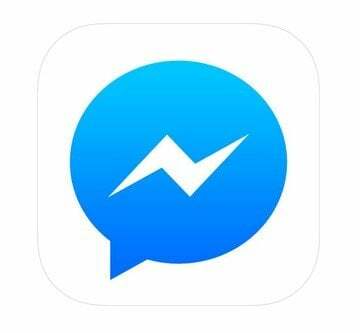 Facebook announced that it’s rolling out the “unsend message” feature to all Messenger users. Messages sent through Messenger can be retracted for up to 10 minutes after they have been sent. The company had said in November that it would roll the feature out to everyone, and it has now made good on that promise. To use the feature, tap on any message you sent in the app within 10 minutes after you sent it, and you’ll see two buttons. One says, “Remove for you,” and the other says, “Remove for everyone.” Select the second option, and that will unsend the message by removing it from the recipient’s inbox. After you unsend a message, Messenger will replace it with a note that you removed a message. Thus, even if you unsend a message, the recipient will still see that you sent them something and then deleted it. The social network’s announcement specifically mentions Messenger, but the “unsend message” feature does work on the desktop version of Facebook as well. To use Facebook’s “unsend message” feature on the social network’s website, tap the three dots next to the message you sent inside the messaging window on the website. That will bring up a popup with the options “Remove for you” and “Remove for everyone.” Clicking on the second option unsends the message within 10 minutes of sending it. Like on Messenger, Facebook’s “unsend message” feature also displays an alert stating that a message has been removed on the website. Facebook commoners (a.k.a. non-company-executives) may have TechCrunch to thank in part for the feature being rolled out to the rest of us. The tech site reported in April 2018 that some of Zuckerberg’s messages had been deleted from the inboxes of some recipients. That indicated he had the ability to delete messages he sent even though no one else seemed to be able to do this. According to TechCrunch, no traces of his deleted messages were left, which made it look like the recipients were merely messaging with themselves. However, email receipts proved that they had indeed received messages from Zuckerberg, even though the posts no longer appeared. Facebook’s “unsend message” feature could turn out to be extremely useful in many cases. Impulsive users in particular will be pleased to be able to “unsay” something they should not have said.